Sockeye salmon that sprint to spawning grounds through fast-moving waters may be at risk, suggests new research by University of British Columbia scientists. When salmon encounter turbulent, fast-moving water – such as rapids or areas downstream of dams – they must move upstream using a behaviour known as “burst swimming” that is similar to sprinting for humans. 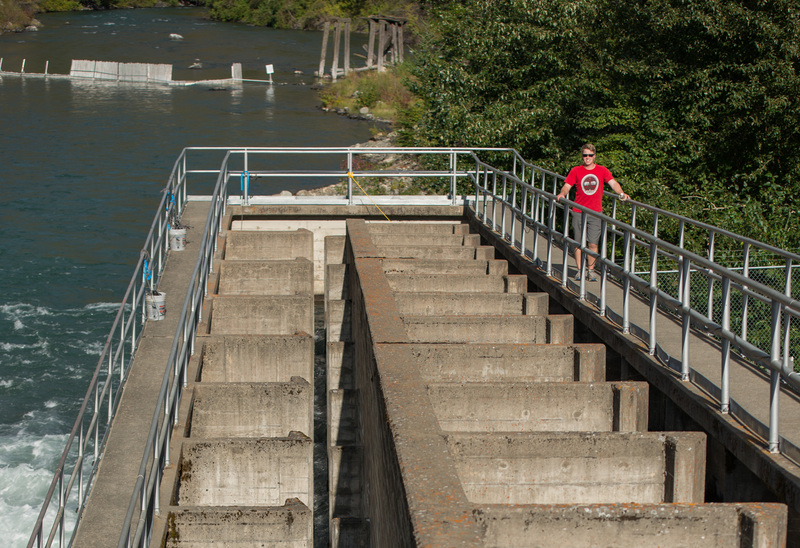 “Days after sockeye passed through the fast-moving water, we started to see fish dying only a short distance from their spawning grounds,” said Nicholas Burnett, a research biologist at UBC and lead author of the study, published today in Physiology and Biochemical Zoology. Previous UBC lab research found that burst swimming requires extra oxygen and energy, creates a build-up of stress metabolites like lactic acid in the blood, and may lead to cardiac collapse or heart attacks. This is the first study to show that excessive burst swimming can cause delayed mortality in wild salmon during migration. This phenomenon is known as ‘delayed mortality’. 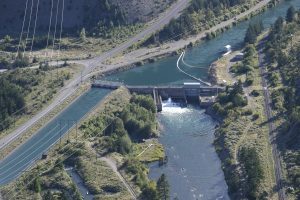 Researchers found that fish that chose to burst swim for long periods through the high flows downstream of a dam were more likely to die enroute to their spawning grounds than those that chose to swim a bit slower. Burst swimming had a greater impact on female fish, supporting this group’s research that shows female salmon are more sensitive to environmental hardships during migration. 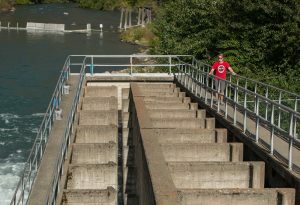 “We now understand how this important but energetically costly swimming behaviour can impact the survival of sockeye during their upstream migration,” said Burnett, who worked on this study as part of his master’s research with UBC Forestry Professor Scott Hinch and Carleton University Professor Steven Cooke. Researchers tagged fish with accelerometer transmitters, a new tracking technology that records how fast fish swim and how much oxygen they consume. 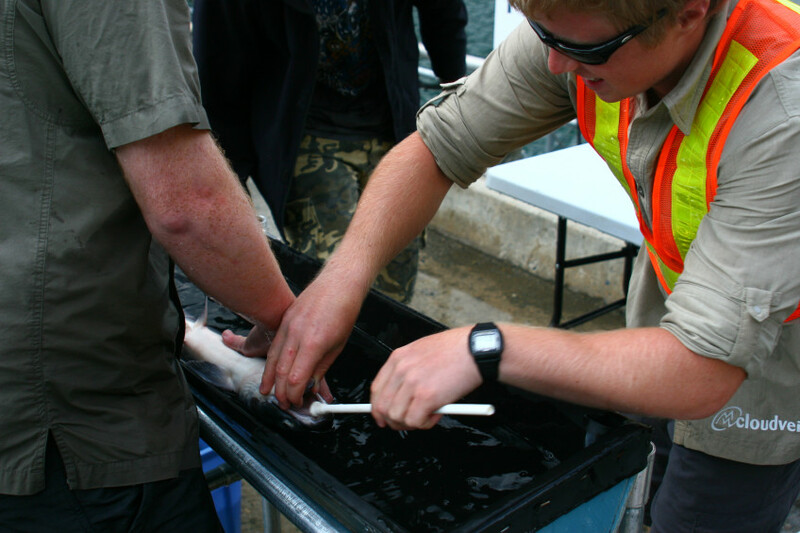 Tagged fish were released in the high flows downstream of a dam in southwestern British Columbia and tracked as they navigated through a fishway and two lakes to their spawning grounds. Original story via UBC News.